Tips On Replacing Your Gutters - Gutters & Guards, Inc. - Lynchburg VAGutters & Guards, Inc.
Spring seems to be coming early this year. It’s the time for new beginnings and updating. If you are planning on updating or replacing your gutters this spring here are a few tips on making sure you choose what is right for your home and budget. Is the current size gutter system the right size for your home? If you live in an area where there is heavy rainfall or you have a steep roof, you might want to update to a larger gutter. The standard house gutter size is 5″. If you’re having issues with overflow or your current gutters not being able to keep all the rainwater, 6″ is the next size up. A 6″ gutter is typically a commercial gutter but for some homes, its more effective than a 5″ gutter. Consult with your gutter professional to see which option is best for you. Our most common gutter is the 5″ white aluminum K-Style Gutter. Whether you are looking to change it up with a different color or different style, we can help. 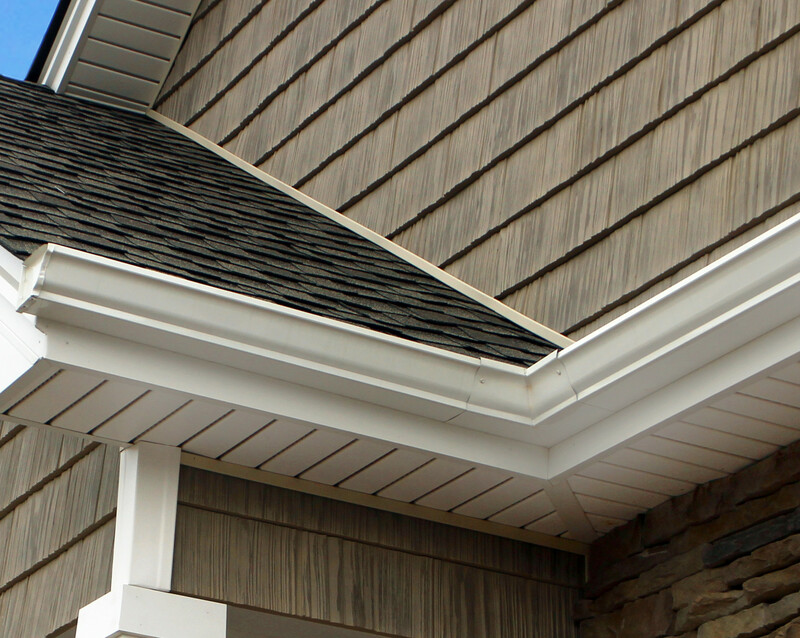 You’d be surprised at what a darker gutter can add to your home. Check out our gallery and see for yourself. They actual material you use can depend on a number of factors. We have a older blog post that can help you decide if you want aluminum, copper or galvanized gutters. Fascia is the glue that helps your gutters stay fastened to your home. If you fascia is wood, you need to inspect for rotten wood before replacing your fascia board. Often the fascia needs replaced when the gutters are replaced. If you replace your gutters without inspecting your fascia board it could become a real pain. Your gutters may fall off your home not only ruining your new gutters but damaging your home in the process. Roof and gutter replacement often go hand in hand. To replace your roof, removal of gutters is necessary. If your roof is in need of replacement and your gutters could use a sprucing up, try to get the jobs done at the same time. You might be able to work out a better price as well. If you think your gutters are in need of replacement or want to get pricing on replacing your gutters this spring, give us a call. Also keep your eyes open for special gutter deals this spring too!